Senator Rand Paul (R-Kentucky) is coming under attack after making a comment on national television this week that’s been construed by some to signal the lawmaker’s newfound approval of domestic drone use. Paul, who famously launched a 13-hour-long filibuster in Washington last month in opposition of drone use within the United States, has fired back at his critics by insisting that his opinion of unmanned aerial vehicles hasn’t changed. 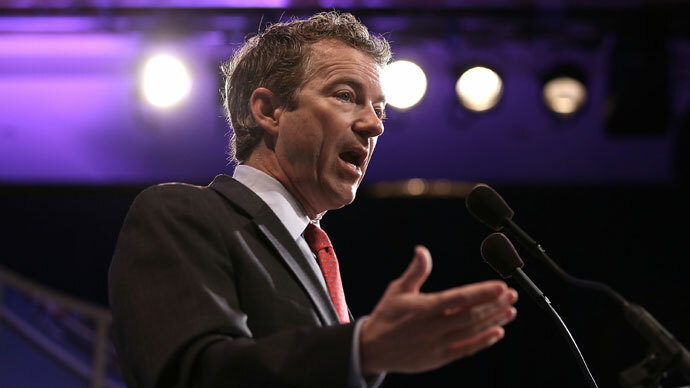 Commentary labeling the lawmaker as a “flip-flopper” erupted early Tuesday after a segment aired on the Fox Business Network in which Sen. Paul all but completely contradicted the main bullet point of his March 6 marathon anti-drone rant. Speaking out against drone use on Capitol Hill only one month ago, Sen. Paul sharply condemned the Pentagon and CIA’s use of unmanned aircraft to target overseas insurgents, insisting that little was keeping the Obama administration from implementing UAVs inside America’s borders to bring down suspected terrorists. 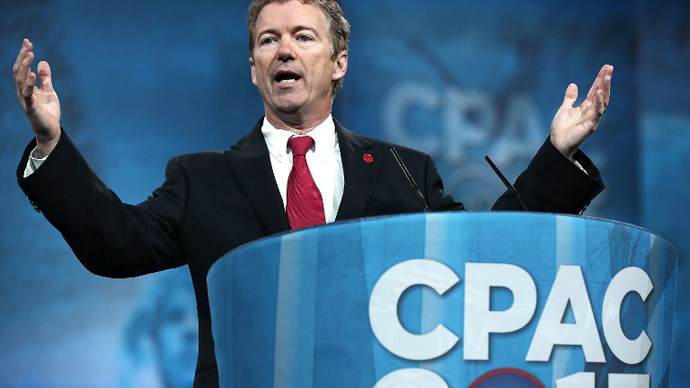 During his lengthy diatribe, Paul suggested that use of a drone to strike down alleged terrorist and American citizen Anwar al-Awlaki in 2011 could have set a precedent by giving the White House the go-ahead to go after US residents whose views don’t fare with President Barack Obama. “Are you going to just drop a hellfire missile on Jane Fonda? 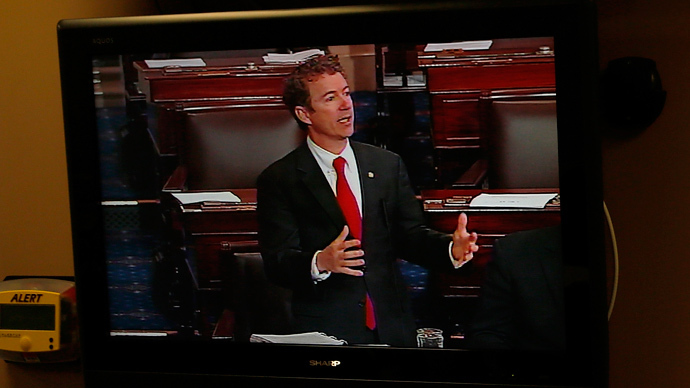 Are you going to drop a missile on Kent State?” Sen. Paul asked. In the hours after last month’s filibuster, both White House press secretary Jay Carney and Attorney General Eric Holder responded to Paul’s performance on the Hill by confirming that the commander-in-chief has not and will not use drones to target US citizens on American soil. When the senator spoke with Fox host Neil Cavuto during Tuesday’s segment, though, he seemed to be singing a different tune. The comment quickly caught the eyes of Internet users, and the blogosphere exploded shortly after the broadcast occurred with condemnation coming from even the devout libertarians who previously lauded the senator for his stance on drones. 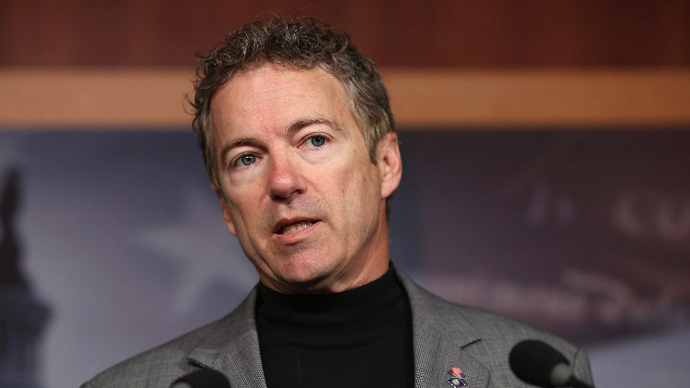 “I am stunned by Rand's statement. 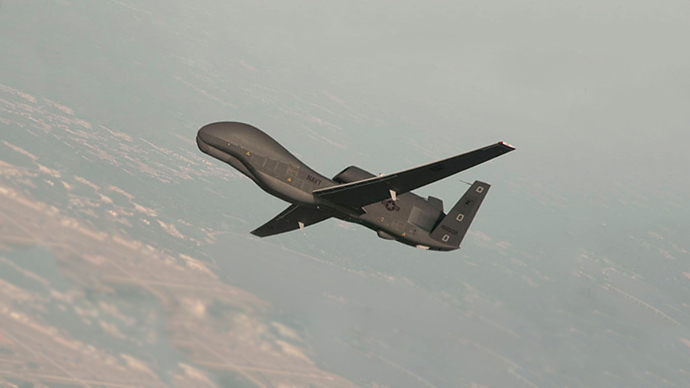 Unmanned killers in our skys [sic] O.K.??? Really?” one blogger wrote on DailyPaul.com, a highly visited website that regularly covers news pertaining to both the Kentucky senator and his father, retired congressman Ron Paul (R-Texas). On the Ron Paul Forums message board, a post linking to the senator’s Fox Business interview generated over 350 replies in under a day. 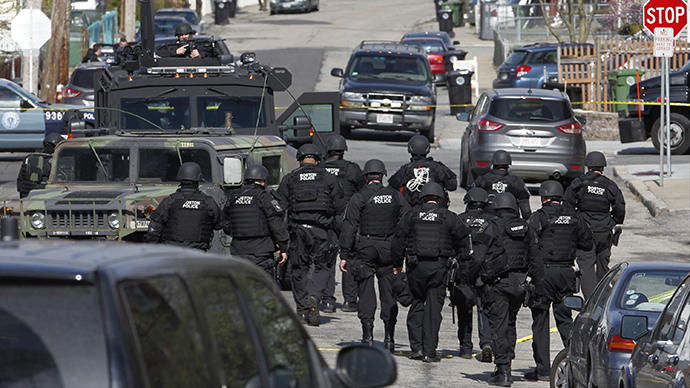 Foreign Policy said of the response, “Ron Paul's vibrant fan base is in open rebellion” after Tuesday’s remark. One day later the Paul-bashing has subdued, but not until well after the senator released an official statement clarifying his quip.